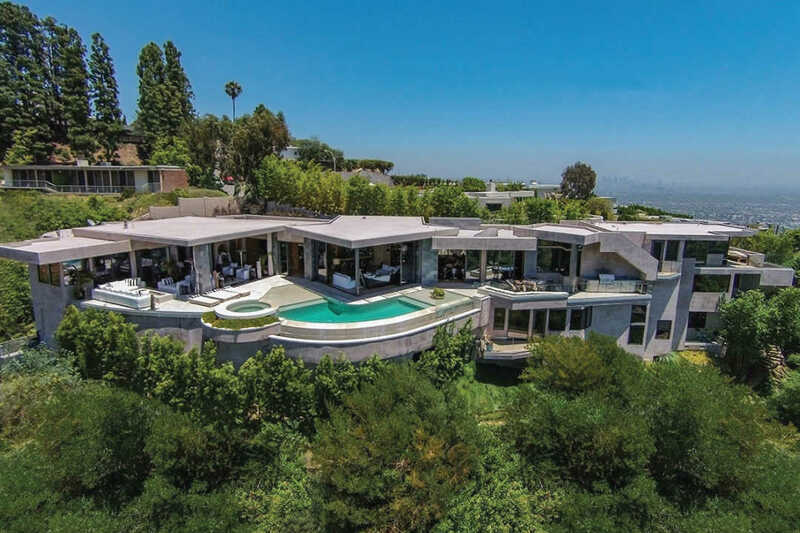 Blue Jay Way which was immortilized in 1967 by the Beatles’ George Harrison song of the same name, winds through one of the most sought after showbiz postal codes in Los Angeles. 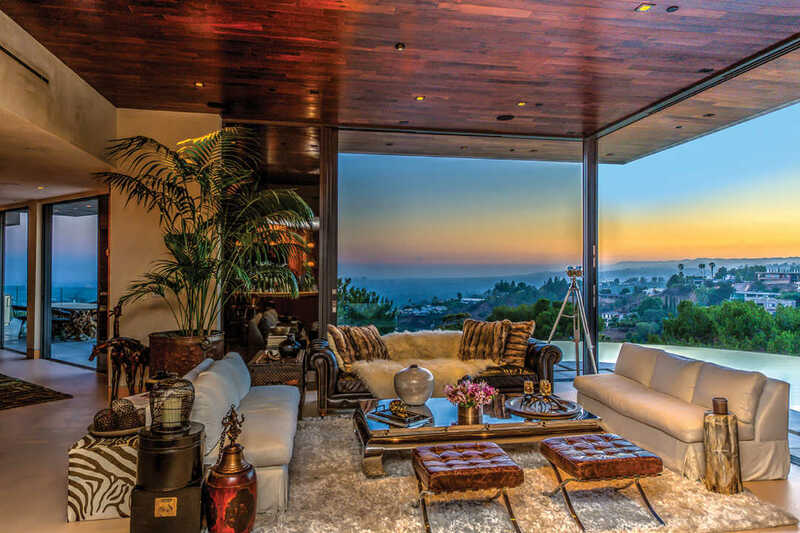 Known as the “bird streets,” located off the famous Sunset Strip, the area is and has been home to countless Hollywood legends and A-listers. 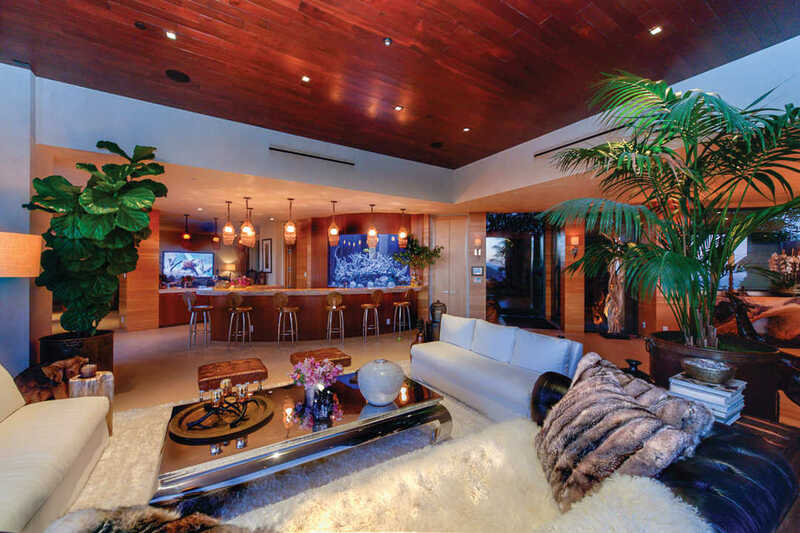 This opulent four bedroom, five and a half bathroom architectural masterpiece on Blue Jay Way is perched high in the Hollywood Hills. 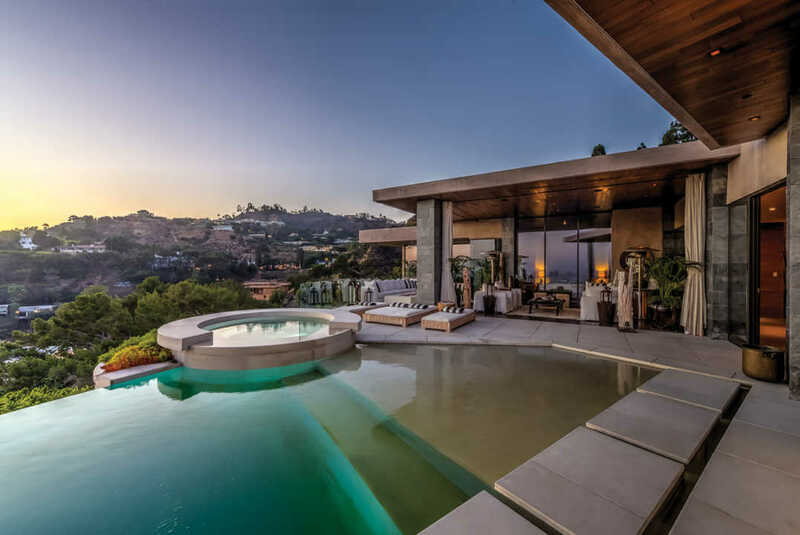 Built as an entertainers paradise, guests will marvel at the expansive vistas that span from downtown Los Angeles to the Pacific Ocean, this chic home defines celebrity L.A. living. The floor to ceiling windows and open concept layout allows natural daylight and airflow throughout the residence. 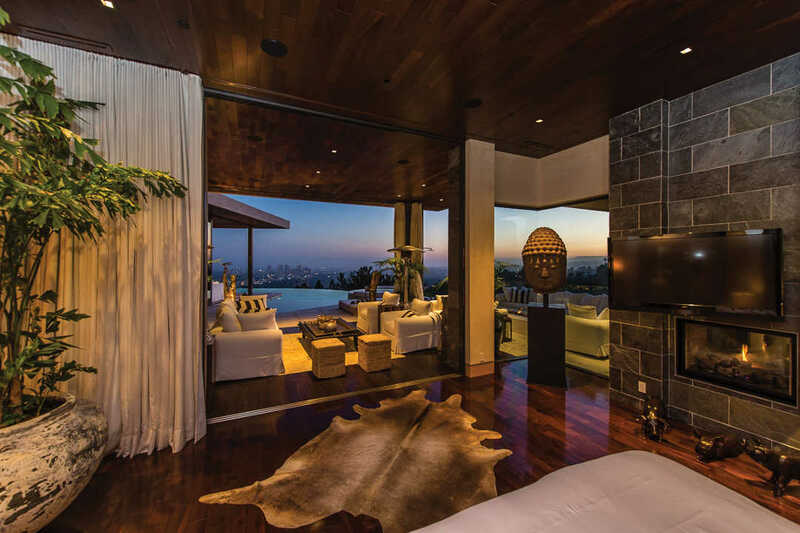 In addition to aestheticly pleasing, the 4 x 4 limestone slab flooring throughout the interior and exterior of the residence absorb solar energy during the day and release it on cold desert nights. An expansive outdoor deck/patio, spacious saltwater pool and adjoining hot tub surround the exterior. 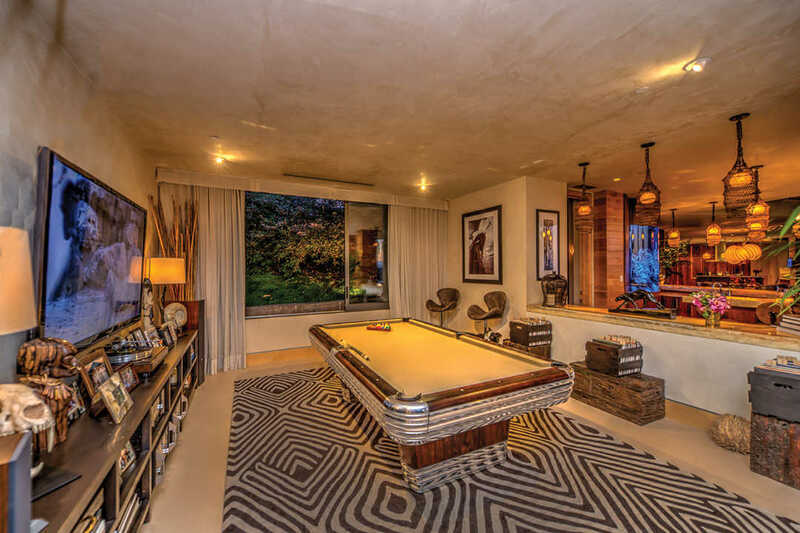 The house is controlled by the Vantage home automation system allowing fully integrated and smart control over lighting, entertainment, security, heating and air conditioning and the pool and water features. 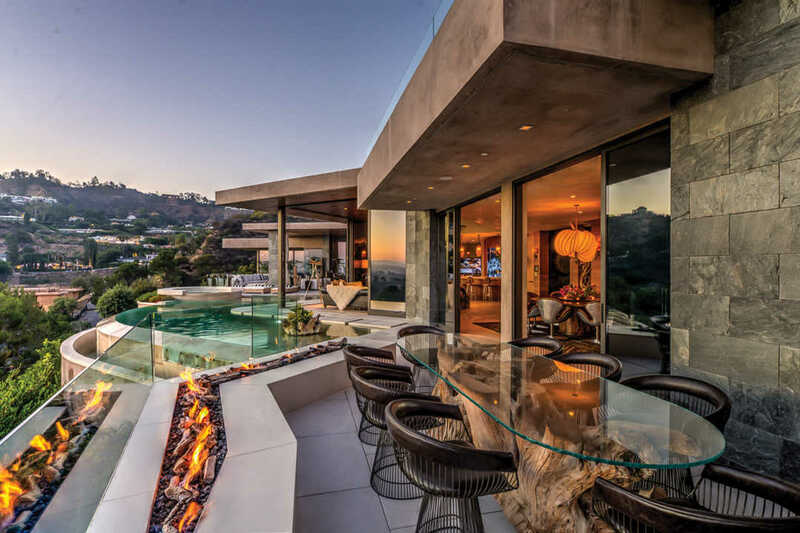 Equipped with the most contemporary technology and finished with the finest materials, no expense has been spared creating this incredible home.